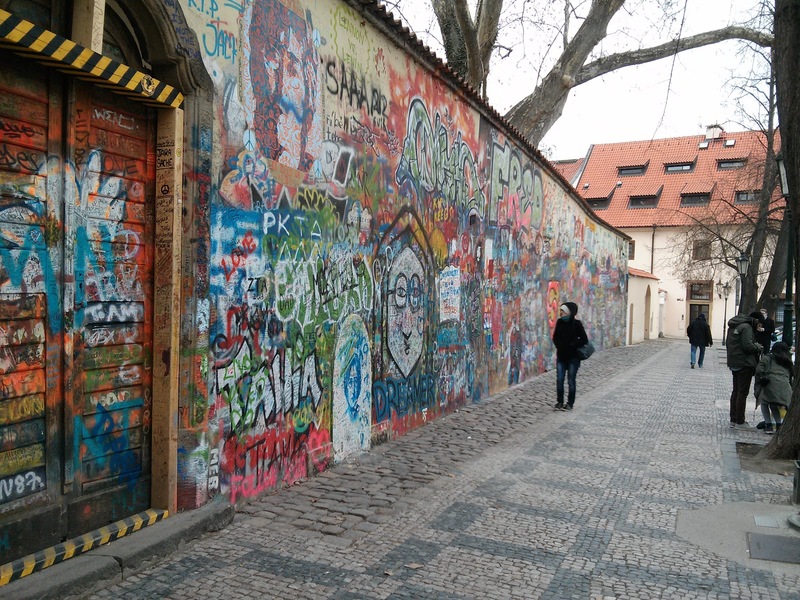 On Friday we moved from Prague to Dresden, Germany. 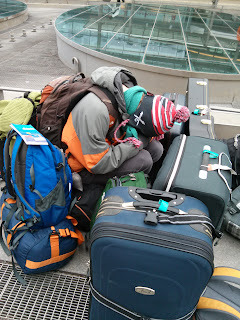 It's our first move on our Family Field Trip, and Jon and I had both been dreading the actual moving part for a while -- getting all 8 of us onto tram-metro-train-tram-tram again with everyone loaded down with backpacks, duffel bags, and suitcases large and small. 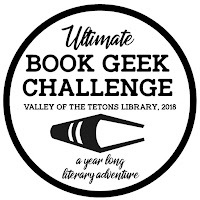 I think it went better than we thought it would, though maybe not as well as it could have. The hiccups: accidentally leaving luggage (and Zed and Phin) on the train for a bit (mostly my fault and maybe I'll tell the story sometime) and not having the right code for the lock box at our apartment in Dresden, both of which were solved pretty quickly. Here's a picture of Zed huddled in the midst of the luggage. All of the luggage is not shown. This is on the Dresden end and we were all tired and it was really cold outside the train station. I have no idea why we waited outside the train station while Jon bought our monthly passes for Dresden's public transportation. Maybe just because we got there and couldn't even think about picking everything up and moving it again, even if we could have been warm. Anyway, the short version is that we are safely in Dresden now and have been for almost a week. How does the time just fly by like that? Below are a few pictures from our last days in Prague and our first days here. 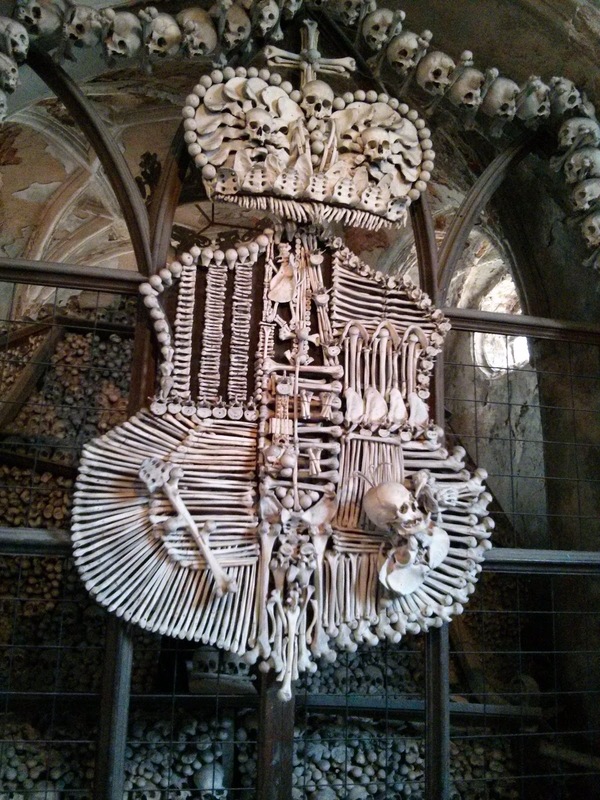 The incredible Schwarzenberg coat of arms in the bone chapel near Kutná Hora. What an amazing place. The Lennon Wall in Prague, an ever-changing wall of graffiti that started when John Lennon was killed in 1980. Mira in the Children's Room at the Prague City Museum on our last full day in Prague. 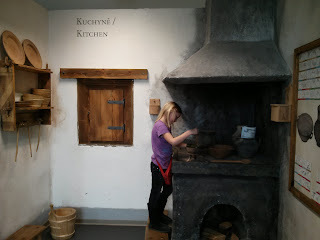 We loved the Children's Room in the Museum of Idaho in Idaho Falls, which has a teepee and log cabin, so it was great fun to experience the Czech version. 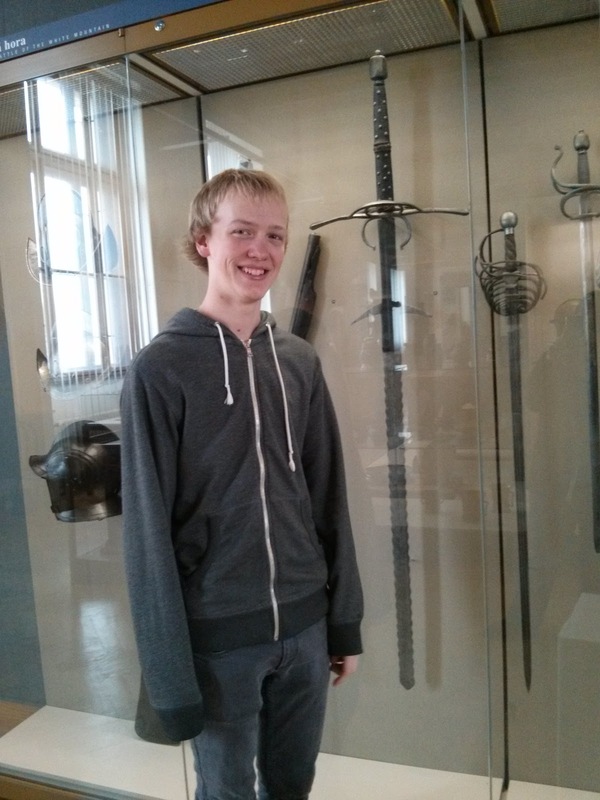 Also at the Prague City Museum, Zed standing next to a sword that's almost as tall as he is. 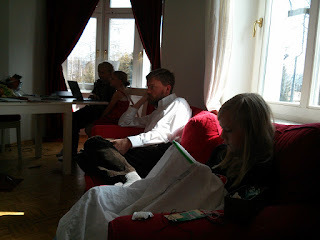 And here we are watching General Conference via the Internet in our Dresden apartment. 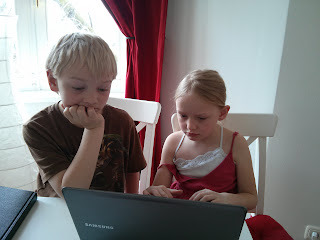 The kids who are staring at screens are playing chess against each other. Really. I checked. 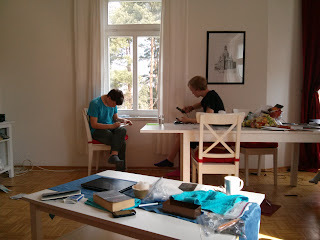 Jon and I are happy to be able to communicate in German here, and the kids are more lost than ever but enthusiastically and good-naturedly studying German now (we love Memrise!). 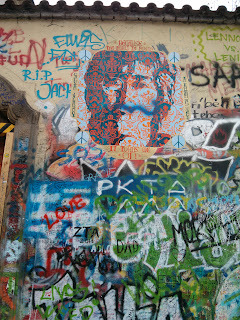 I think we all miss Prague, though, and I'm so glad we'll be going back. 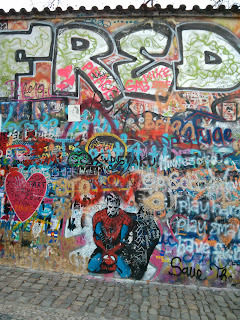 More about Dresden later! Now THERE's some graffiti for Uncle Howard! Your apartment looks cool. I'd love a tour like you did with the last one! We'll have to clean it up and take a video. It's a really nice apartment, but it's reminding me how much I hate all hard floors -- the floors here are tile and laminate and they gather dust and crumbs and stuff so quickly. But it's great. I think the ceilings in this apartment are taller than the last place!